I like to ‘read’ cookbooks. I know there’s a lot of you out there that do too. When I want to checkout a new cookbook I first try to get it through my local library. If they don’t have it, they’ll check with other libraries in our area and try to get it for me that way. I like to be able to scan through a cookbook and maybe make a recipe or two before I decide to spend the money on it or use space on the bookshelf for it. If there’s only a couple of recipes that look really good I scan those recipes and return the book. What can I say, I’m cheap. 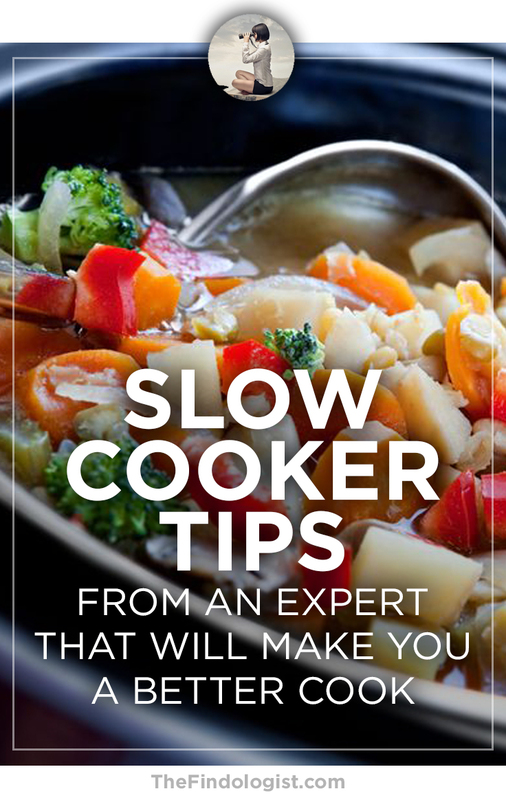 I use my slow cooker pretty often, both summer and winter. I love the delicious smells that come from it while it’s working all day. It makes the whole house smell, well, homey. I mostly make the usual chilis, soups and roasts. It tenderizes cheap, tough cuts of meat, which is nice on the wallet, and it’s nice to dump the ingredients in the pot and leave it for several hours without having to even think about it again until the timer goes off. I’ve seen some recipes for desserts and even breads made in the slow cooker so I know it can do other things besides chili, but I haven’t tried them yet. Slow cookers have come a long way since they became popular in the 70’s. They were invented in the 1930’s but didn’t get to be popular until women started burning their bras and working outside the home 40 years later. Do you remember your mom or grandma having this Rival Crock-Pot slow cooker? It was THE slow cooker to have. If you’re interested in vintage, this slow cooker is for sale here. I just got the new Martha Stewart’s Slow Cooker cookbook from the library. Love her or hate her, I like (most) of her recipes and she comes up with some great DIYs. Some of the recipes in this cookbook aren’t your everyday recipes (remember, we’re talking about Martha Stewart here). Most books on slow cooking seem to be pretty basic and use a lot of packaged, processed foods like canned soup, instant gravy mix, etc. In Martha’s Slow Cooker cookbook all dishes are made with real ingredients, without the added preservatives and extra salt. There are chapters on meat (33 recipes), poultry (18 recipes), seafood (10 recipes), meatless (11 recipes), side dishes (13 recipes), breakfast (9 recipes), sweets (9 recipes), and stocks and sauces (11 recipes) – a total of 114 recipes. So out of the 114 there’s maybe 10 or 11 I know I wouldn’t make. They even have an octopus recipe – which is one of the 10 I wouldn’t make. TIP: Did you know you could make fish in the slow cooker?! Me either. Martha says it only takes an hour and it’s guaranteed not to dry out! The best fish for the slow cooker are salmon, halibut, cod, tuna or bass. More delicate fish like sole and flounder, she says, will fall apart. Season meats and poultry with salt and pepper, then keep them covered in the fridge overnight. Sear meat (after patting it dry with paper towels) in a hot pan on the stove to develop a crust before putting it into the slow cooker. I know, an extra pan to clean and extra cooking time. I’ve done it both ways and searing really is worth it. But if you want to make life easier you can skip this step. Saute onions, leeks or shallots before putting them into the cooker (at least you can use the same pan you seared your meat in). Preheat the slow cooker (with the insert in it) for 20 minutes on the high setting. You’ll get better results if you add hot, or even boiling, liquids to the recipe at the start. Use a thin coat of oil or butter on the insert. It’ll make cleanup a lot easier, especially with baked goods. Fill the slow cooker no more than 2/3 full. Much less than that and the food can dry out or scorch, more than that and it may not cook evenly or even overflow. Many slow cookers have hot spots along the back wall which can cause uneven cooking or burning. Rotate the insert every hour or so to avoid overcooked spots, especially with baked goods. Or you could place a double-layer of foil against the hot spot and spray some vegetable oil on it to prevent the food from sticking to it. If you’re making something like a meatloaf or bread, make a foil sling to make it easy to remove it from the pot. Fold two 30” lengths of foil in half lengthwise, twice, into two 30” long, 4 ply strips. Crisscross the strips to cover the bottom and sides of the slow cooker insert. Just let the excess hang over. Spray the foil with vegetable spray and then add your ingredients. When baking in your slow cooker wrap the lid with a kitchen towel to catch the rising steam and prevent it from dripping onto your food. Use the broiler after slow cooking meats or poultry to crisp it up. If you need more time than a recipe allows, the night before put your ingredients into the insert, put the lid on and put it in the frig. This should give you 1 to 1 1/2 more hours of cooking time. Every time you lift the lid it increases the cooking time by 15 minutes. If you want to try adapting your current recipe to work in the slow cooker, the rule of thumb is cutting the liquid by half. There’s not much evaporation using the slow cooker so you don’t want to start with too much broth or water. Mix in any fresh herbs, olives or citrus juice right before serving.